Perhaps it’s the unpredictability of nature and what weather can wreak upon the crops in which growers invest their lives that somehow they maintain a passionate seriousness about wine while still keeping a sense of humor about life. 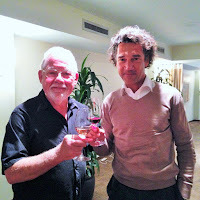 Having met Jean-Claude Mas (4th generation winemaker), I know that to be so with him. 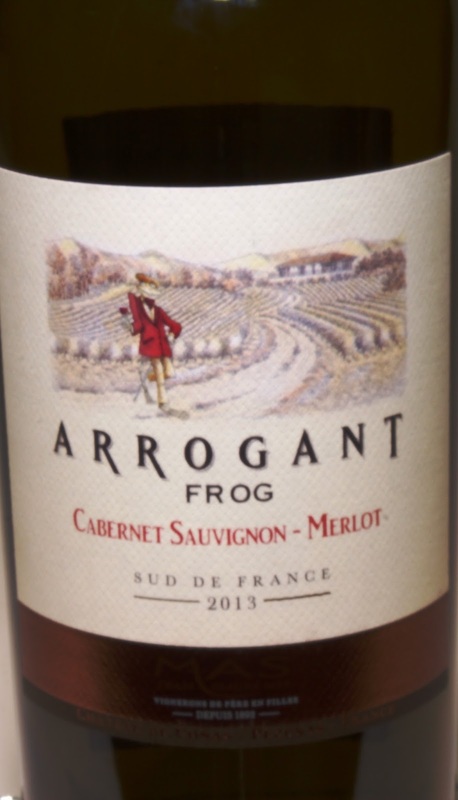 He named his blended, estate-bottled red wine of Cabernet Sauvignon (55%) and Merlot (45%) “Arrogant Frog.” Jean-Claude is French, born there. Lives there. And last I checked, “frog” is a derogatory term. Adding to the irony, this classic “Bordeaux” style blend (though now international) is not made in the Medoc. “Arrogant Frog” is produced by Jean-Claude Mas in the south of France; in the Languedoc. So while the French are very serious about wine and very serious about the terroir within which grapes for certain varietals are grown if the wine is to be classified, it seems Jean-Claude is enjoying the last laugh. The Domaine Paul Mas) has become the largest privately owned winery in France outside Champagne, and “Arrogant Frog” has become an international success. To see why this is so, all you need do is taste the wine. Mas’ philosophy is to produce wines that are everyday luxuries. Growing premium grapes on vines that average between 16 to 34 years old and growing on deep clay and limestone (on the hillsides of the five main valleys of the Languedoc), the destemmed grapes are vinified separately in stainless steel tanks. Juice is fermented and macerated separately before one-fourth is oak aged (four months) before blending. The wine then rests an additional two months in vat before bottling. What results is a medium bodied, dry wine that yet is fruity (but not sweet) with bright zippy notes of red fruit: raspberry, cherry, allspice and notes of vanilla. The flavor is enriched with notes of ripe plum and currant adding to the wines complexity. Tannins are so smooth the wine glides over your palate as an easy drinking, pleasurable flavor experience. The back label mentions that the wine is a good pairing with red meats, poultry, game, pasta dishes and frog legs! I can imagine it so, though I enjoyed this wine by itself. I also can’t help but smile thinking Jean-Claude, while serious about the recommended pairing, is smiling having demonstrated that the Languedoc can and does produce world-class wines. Many people move from white wine to red as cooler weather arrives, but I found this red an all season wine, enjoyable in the summer months too. “Arrogant Frog” (imported by Palm Bay International) has a suggested retail price of $10.99. While the wine itself tastes higher and even somewhat luxurious, its bargain price makes it a luxury you can afford every day. 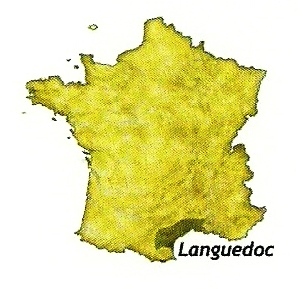 Classified as Vin de Pays d’Oc (the old term changed in 2009 to IGP – Protected Geographical Region), it is classified a step lower than AOC but above Vin de Table (Table Wine). Regardless of classification, I’ve always found that wine best speaks for itself in the glass and I’d be happy to have “Arrogant Frog” grace my table every day. Follow Wine Mizer on FaceBook for mini-reviews, recipes and fun facts about wine and the wine industry. · Sample bottle provided by publicist.